Each LNG project has its own requirements and characteristics which need to be understood in order to deliver LNG to the customer at the best price. While innovative technologies are making LNG more accessible, analyzing project risks at the outset and factoring in potential complexity will increase the likelihood of successful project implementation. There is a need to invest significantly in developing domestic energy infrastructure to provide power to emerging industries in the world’s fast-growing gas economies to ensure their continued economic growth. Before making these investments, it is important to decide on the right energy mix, balancing the desire for cleaner fuel sources with the need for grid stability and affordability. Liquefied natural gas (LNG) has a key role to play as it is a cleaner fossil fuel and is also versatile, with potential uses ranging from power generation to use as a transport fuel. The challenge for LNG is to make it accessible. By making LNG readily available and integrating it into current energy ecosystems, countries such as India, Pakistan and Bangladesh could successfully achieve a shift to a low-carbon, stable energy system serving a new generation of customers. The starting point is a well-functioning LNG supply chain for importing, storing and distributing LNG, requiring not only substantial capital expenditure, but an innovative approach to serving smaller end-customers from sourcing to last-mile delivery. The new supply chains must be nimble enough to cater to more cost-focused customers that want flexibility in the quantity and lock-in periods for the LNG they buy, but robust enough to grow in line with rising demand. A modular and scalable approach is the most pragmatic way to meet demand for smaller volumes of LNG from a wider range of off-takers. Many of the proposed LNG projects across the Asia region are relatively small (1 to 2MTPA) supporting a single power producer and AG&P sees opportunities in developing small-scale import terminals to serve these customers. AG&P believes flexibility and agility are key to developing the right-sized solutions to serve customers for whom a large, one-size-fits-all approach will not work. AG&P’s solutions use standardized and scalable designs, new technologies and integrate maritime and onshore LNG transport, storage, break-bulk and regasification assets, which streamlines logistics and reduces costs by eliminating bespoke engineering for each piece of infrastructure along the LNG supply chain. Regulations and tax: early engagement with the relevant port authorities is essential so the terminal infrastructure is fully compliant with the port code, conditions of use and regulations. This can be a lengthy process and must be factored into the project timeline. Port and marine services: Most project developers enter into a port services agreement for the provision of tugs and support services with a third-party provider. These negotiations can be complex and time-consuming, and the port services provider may be unwilling to take on liability for any aspect of the project. Karthik Sathyamoorthy is the President of AG&P LNG Marketing, based in Singapore, where he is responsible for LNG sourcing, demand aggregation and integrated LNG-fired gas-to-power opportunities across Asia and Africa. He previously worked for the Galway Group where he was responsible for its operations globally. 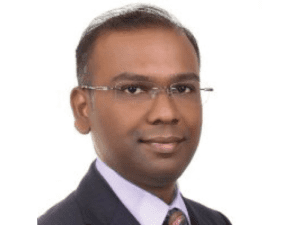 Before joining Galway Singapore in 2011, Karthik had extensive gas and LNG transactional and commercial experience working for Wood Mackenzie, HSBC and Crisil. Founded in 1900, Atlantic Gulf & Pacific Company (AG&P) is a global industrial infrastructure company, delivering pragmatic and innovative gas logistics solutions and construction services to some of the world’s most demanding infrastructure projects.